Today’s guest is award-winning marketing strategist and TED coach Cathey Armillas. 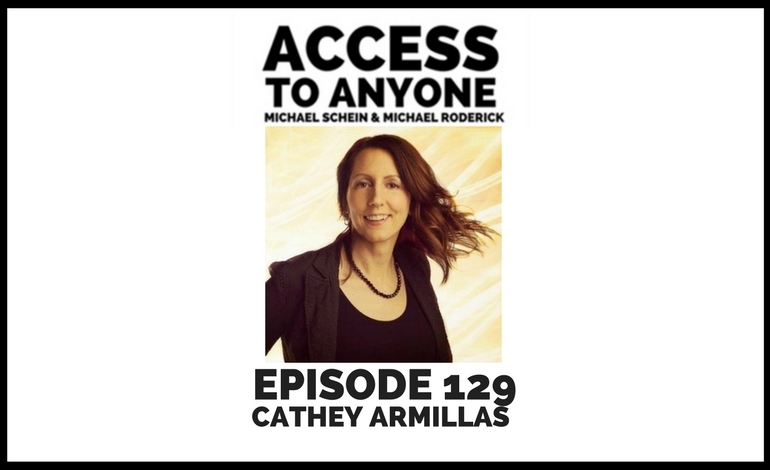 Cathey Armillas is a Marketing Strategist and the author of the award-winning book, The Unbreakable Rules of Marketing: 9 ½ Ways to Get People to Love You. Whether in the boardroom or on stage, people love Cathey’s enthusiasm, passion and directness. She has been notorious for creating wildly successful marketing strategies. As a speaker, Cathey teaches people the Unbreakable Rules of Marketing so they can use them in their efforts to get people to love them, and love what they do. Her Unbreakable Rules has helped reach millions of people and quadrupled her clients’ sales. In one example, she created a viral marketing campaign for a client by shredding items such as soccer balls, torpedoes, even a Volkswagen, and posting videos of them online. It landed the client on the David Letterman Show, CNN, CNBC and the Discovery Channel. Cathey shows her authenticity and heart as a TEDx speaker, TEDx speaking coach and organizer. Cathey knows speaking from an organizer’s standpoint from her experience volunteering behind the scenes at TEDxPortland. Portland hosts the one of the world’s largest TEDx event in the world with an attendance of over 3,000 people. Secondly, Cathey has coached many to rock their TED Talk from young rising star celebrities to WWII War heroes. She has also been invited to deliver her own TEDx Talk. Though thriving as a guru in marketing, her TEDx Talk is titled: “Share your life”. Cathey opened up and showed her vulnerable side as she shared her personal struggle for happiness and where she finally found it.